The F-15K is the newest version of the F-15E Strike eagle. The F-15K Strike Eagle has been developed by the American company Boeing and will be the new fighter jet for the Air Force of South-Korea. In 2000, South-Korea started the Next Generation Fighter Program for a new type fighter jet. On 19 april 2002 South-Korea signed a 2 year long F-X fighter aircraft evaluation program contract with met boeing for the delivering of 40 F-15K Strike Eagle fighter jets with weapons for a amount of 4.2 billion dollar. The aircraft will be manufactured by Boeing in St. Louis. The first one was delivered to the South Korean Air Force in march 2005. The other jets will be delivered between march 2005 till 2008. The F-15K Strike Eagle is worlds most perfect long-rage, multi-role fighter jet. The F-15K can be used - just like the F-15E - for air-air and air-surface attacks, day and night under all weather conditions. The F-15K has worlds newest operational combat radar, the APG-63 (v) 1 developed by Raytheon. A possible update of the radar could be an active electronic scan (AESA). These upgrade reduces the pilot work. The AESA is faster, lighter and better than a radar which is mechanical positioned. It can also change fast frequency, change of beam direction, improved detection capabilities and electronic countermeasures. 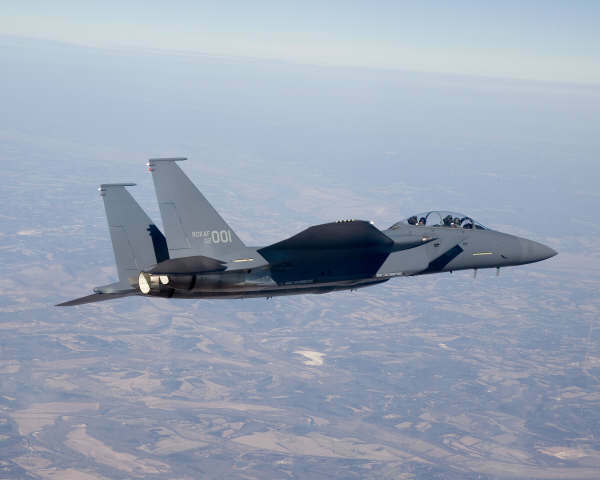 The F-15K has avionics systems like: third generation forward looking infrared system (FLIR), a helm-mounted targeting system, weapon-control systems to support advanced weapons. The F-15K can carry 23.000 pound weapons. Some weapons are: Joint Direct Attack Munition (JDAM), Standoff Land Attack Missile-Expanded Response (SLAM-ER), Advanced Medium Range Air-to-Air Missile (AMRAAM), AGM-130 and the AIM-9X Sidewinder missile. These weapon systems are compatible with other South-Korean weapon systems and American weapon systems which are in South-Korea. 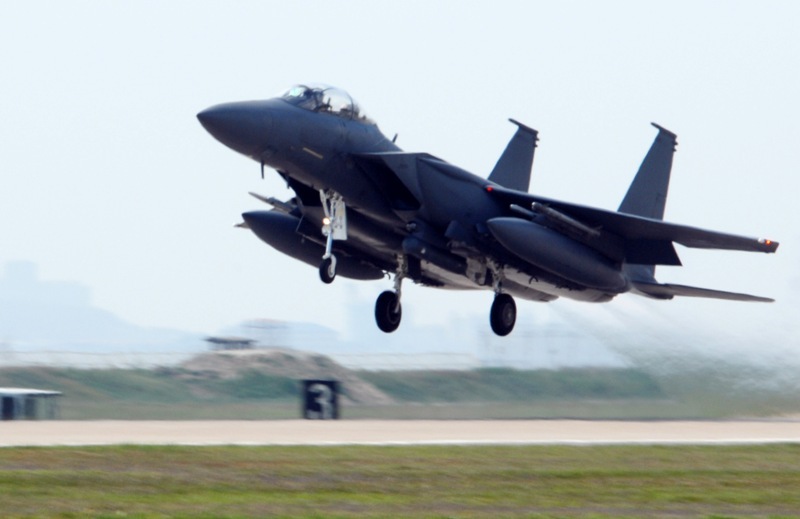 The F-15K has two F-110 engines, developed by Samsung Techwin and General Electric.